what actually raised my curiosity was the fact that I haven't actually watched any of her movies lol,pardon me for that,but the way she was receiving affection and accolades from her young teeming fans made me to become curious. 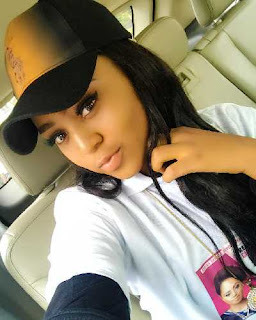 I had to research and find out Top 20 facts about this pretty young teenager named Regina Daniels that has won the hearts of both the young and old Nigerian movie lovers. Why choose to become an Actresses? How much does Regina Daniel earns per movie? For some reason,she reminds me of Kylie Jenner lol,check out some facts about this most sought after 16 year old Nigerian actress. She is just 17 years. Regina Daniels was 7 years old when she was given her first shot at stardom. When she started of,she way paid between N4,000 and N10,000 for her roles in movies. 5. Why choose to become an actresses? enjoyed watching Nigerian plus also the fact that she is very emotional,all that transcends to being a good actress. According to Regina,she tries to study ahead of other students in her school and brings her books to movie shooting locations so that she can study,moreover she has been given a separate arrangement and study schedule by her school proprietress. She attended Hollywood International school in Asaba,currently she is an undergraduate student at Igbenedion University Okada. 7. How much does Regina Daniel earn per movie? Starting of,her biggest paycheck was N10,000,according to this youngster she now earns N500,000, half of a million naira for a movie. Regina disclosed that she wants the world to know her,she wants to become a mega superstar,and at the pace she is going,she doesn't seem to be slowing down. would want to take pictures with her,thereby ruining private family moments. She has already ventured into the lane of movie production at such a tender age,a feat that most seasoned nollywood actors and actresses has not yet accomplished. She has produced two movies titled The Jericho and Twins Apart. handles thousands of male fans that adore her,she disclosed that its simple,she lets her mother handle the situation in a calm and respectful manner. Regina has five siblings and she rides high on her family’s support,they support whatever she is doing. Regina Daniels is in a relationship. Her response was swift and precise, 'that would be my mother'. calling her 'Ekwensu' which means 'Devil' in the Igbo language,at first she was shocked,but later she remembered that she once played a role in which she was called 'Ekwensu',that was preety an embarrassing moment she recalled. Regina Daniels founded the Regina Daniels Charity Foundation,a non-governmental organisation that is focused on disabled and orphaned children,her organization cares and provides for them. should be able to play the character of the role she has been given,that doesn't necessarily mean that is how she is in real life,'' I'm a simple and easy going girl '' she said. According to her,its not always easy being a newbie and starting off,Nollywood is an industry that is full of envy and they will try to dissuade and discourage you in the beginning she said,unless you are determined not to quit, according to the teenager,she has remained focused and steadfast. When asked what her dislikes are she said 'craftiness and proud look'.